Shaan is known for rendering his soothing voice in the industry. He is one of the leading singers in the Indian Cinema. 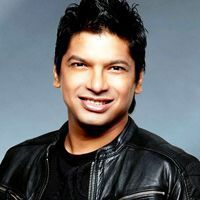 Check out the most updated and latest information about Shaan's on the Internet.We have 210 videos of Shaan including interviews, events, or public appearances.Shaan has over 137 Fans registered on India-Forums.com. We have 183 Bollywood News articles related to Shaan.Do share your criticism, comments and feedback for the Actor on Shaan's comments page. We have over 31 Photos of Shaan to view and download including Shaan's Wallpapers. Can you come up with a collection/ album/ cassette that of your Dad's collection! your style,your song and your wife and children is amazing. Ur 'ke habe biggest fan' is very informatics.